AA Driving School and BSM to roll out cycle awareness module to all instructors. New drivers also told "road tax" doesn't exist. Two of the UK’s biggest driving schools are today committing to teach all new drivers cycle safety. A new training module, similar from both driver training companies, will ensure a standardised approach to safe driving around cyclists. Drivers will also be taught that cyclists have equal rights to be on the road, and there’s no such thing as "road tax". AA Driving School and BSM have committed to making sure all their instructors cover vital skills about driving around cyclists. All driving instructors from both schools will take a module to teach drivers how to drive safely around cyclists. They will also be given a worksheet about safe driving around cyclists for their pupils to use. AA Driving School and BSM, as part of AA Driving Services, make up the largest provider of new driver training in the country. BSM, formerly known as the British School of Motoring, has been teaching drving skills since 1910. AA president Edmund King said: “I am personally committed to breaking down the ‘Two Tribes’ attitude displayed between some drivers and cyclists. Often we are the same people. "At the end of a driving lesson when cycle safety has been covered you should discuss their performance with your pupil and agree how you assess their ability on a scale of 1 – 5 on the progress chart. 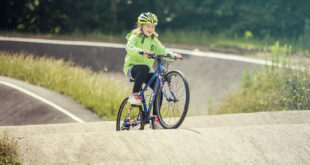 Only once you and your pupil agree that they would consistently achieve a ‘5’ whenever they need to anticipate and plan in relation to the safety of cyclists should you regard the learning as complete." The pupil worksheet sets out the facts about cyclists on the roads and encourages learners to think about the care, courtesy and consideration they should afford cyclists. It also highlights conversation topics to have with their instructor to aid their understanding. New drivers will be taught that the Highway Code features an illustration showing a motorist giving a full car’s width when overtaking a cyclist. "You must give as much room as practically possible when overtaking a cycle," says the new training module. "Highway Code Rule 163 illustrates one car’s width, roughly 2 metres. [Cyclists] may have to move out to avoid hazards like drains, potholes or debris on the road that you may not be able to see." "One of the arguments some people make against cyclists is that they don’t pay ‘road tax’ which doesn’t actually exist as it was abolished in 1937 when it became a car tax. We hope that AA cycle safety initiatives will help cyclists and motorists, who are often the same people, coexist in harmony on our roads." 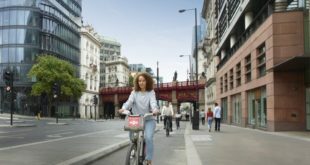 Mark Peacock, head of BSM, said: “Successfully teaching a learner to drive safely around cyclists means instilling a good attitude, as well as, the necessary practical driving skills. “It can be intimidating and confusing for learners the first few times they come across cyclists. 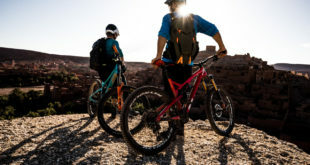 Understanding why cyclists behave in certain ways, such as avoiding potholes or how they are affected in strong winds, is key to being safe around them." [Disclaimer:I advised on the training content].